Fox News reports on an article by Aisha Harris at Slate suggesting that Santa should be depicted as a penguin, managing to combine white privilege (“Just because it makes you uncomfortable doesn’t mean it has to change”), Santa, and a blatantly false statement about the skin color of a Middle Eastern man named Jesus. Changing Santa does not mean we’re being “politically correct.” It means we’re expanding our perceptions of the “norm.” The argument that Santa must be white spills over into conversations about other, equally fictional characters. Can James Bond or Spider-Man be played by people of color? Why not? And yet some people will tell you—believe me—that they have to be white. Of course, some people also believe that characters who were written as people of color are not actually people of color. Which goes to show how deeply rooted the idea of “whiteness” as the default really is. And that presumption carries over into our everyday lives as well, sometimes with sad results. For the record, I fully support Penguin Claus. If you’re looking for a new song to add to the Christmas canon (radio stations need something to play instead of “The Christmas Shoes“! 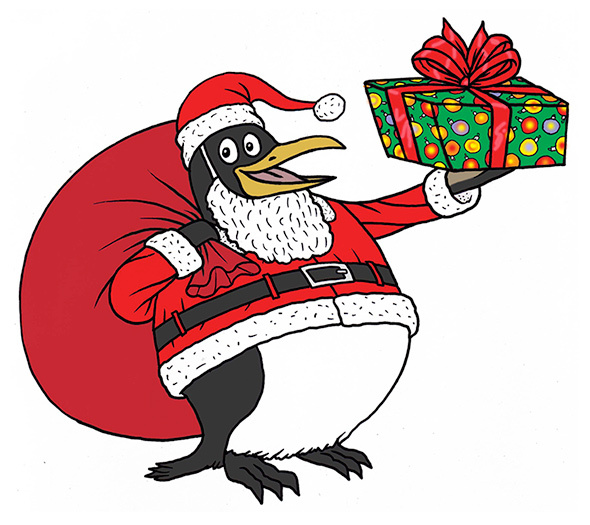 ), writing one about Penguin Claus is a good place to start!